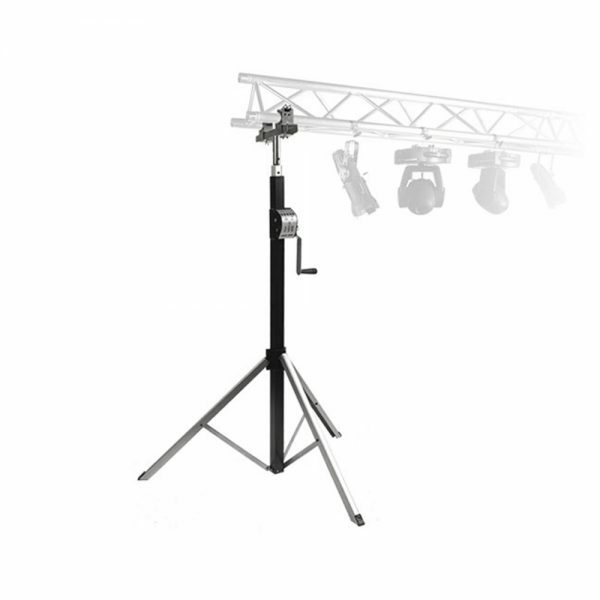 The DuraTruss DT-3800L is a professional series lighting studio smart crank stand that features an ingenious direct drive, rack and pinion design in place of the traditional (and heavy!) cable found on old traditional stands. 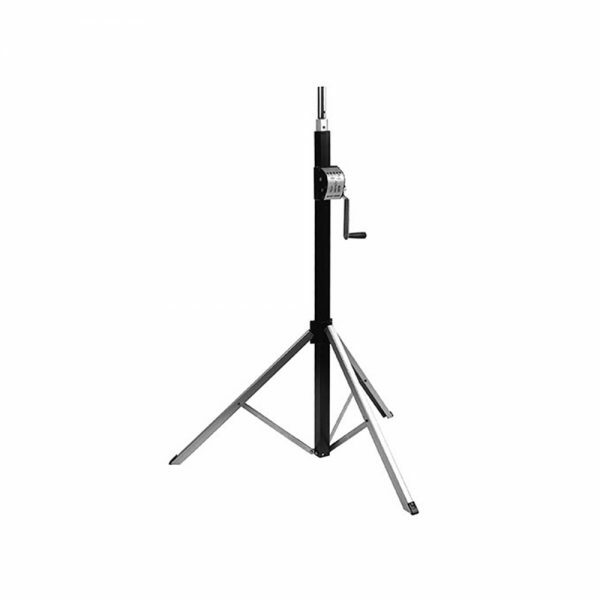 The DuraTruss DT-3800L is a professional series lighting studio smart crank stand that features an ingenious direct drive, rack and pinion design in place of the traditional (and heavy!) cable found on old traditional stands. This innovation allows the new DT-3800L DuraTruss Goliath Studio Smart Crank Stands to offer greater lifting power and a lighter weight along with fewer maintenance issues, which promise to make life easier for you on job sites – in addition to saving you money on shipping costs. 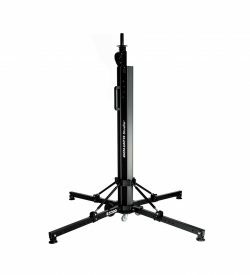 “A good crank stand should lift a heavy load, not be a heavy load to lift.” That sums up the revolutionary philosophy behind our new DT-3800L DuraTruss Goliath Studio Smart Crank Stands. 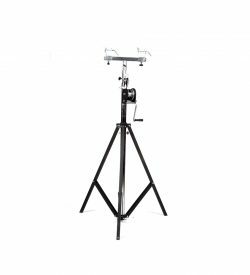 Being lightweight, our DT-3800L DuraTruss Goliath Studio Smart Crank Stands are easier to lift and carry — plus they eliminate problems with broken winch cables on crank stands. Made with lightweight aluminum components, our DuraTruss Smart Crank Stands range from 50 kg to 200 kg in size, which makes them cost efficient to ship as well as easy to move around at a job site. Yet, despite their convenient lightweight design, the stands are capable of some very heavy lifting. The largest model in the line can lift up to 5 meters, an impressive and unique achievement for any stand in this weight class. Our hard working stands also offer an unprecedented level of safety, thanks to their special auto brake system. We made our DuraTruss Smart Crank Stands in compliance with the German BGV-C1 regulations for event safety, and most are TÜV approved by TÜV Saarland. 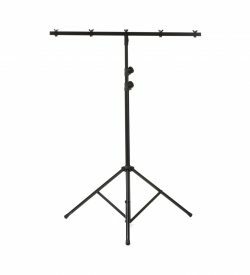 Aside from saving you money on shipping, our new lightweight stands also control downtime and maintenance costs, since there are no splits or bolts which can become lost or bent.